Oxygen Botanicals Review 2018: Ingredients, Side Effects, Detailed Review And More. 1. What is Oxygen Botanicals? Oxygen Botanicals, now marketed under the brand name Oxygen Ceuticals, is a skincare line that focuses on infusing external oxygen sources to revitalize and rejuvenate your skin. Products developed serve two markets: professional and individual use. 2. Oxygen Botanicals – Does it Really Work? Pure Oxygen has the power to significantly rejuvenate your skin and restore your skin health. 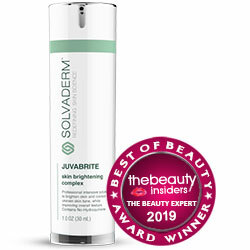 The addition of peptides further provides backup in renewing and regenerating new skin. Botanical extracts strengthen, protect, and revive your skin health by improving hydration, protection and healing functions. Oxygen: It promotes healthier, plumper, younger looking skin. Peptides: These amino acids help speed up natural skin mechanisms involved in repair and regeneration. Botanical Extracts: Boost your skin’s antioxidant levels for enhanced protection, supports replenishment of lost moisture and nutrients, and enhances skin healing and renewal functions. Some of these products are intended for individual use while some are intended for professional use. Some products are for typical, daily and nightly application, while some are intended to be used with a broad spectrum of clinical and spa procedures for pre, during and post procedure requirements. Use personal products as you would their typical counterparts, such as cleansers and moisturizers. As for professional products, follow your skincare professionals instructions closely and do not deviate from frequency of use and dosage instructions. Products under this line utilize only pure oxygen, unlike products that use oxygen that are chemically derived. Products marketed under this line are designed to work synergistically with aesthetic equipment used in skin clinics and spas. This skincare line uses only pharmaceutical-grade ingredients in delivering skin benefits. The manufacturer has handpicked products that it grouped into collections recommended for use for every skin type. This product does not appear to be sold in physical stores, although products are sold across several online channels. The manufacturer fails to provide any proof of product efficacy and safety. The products are not packaged in airtight bottles which make these highly vulnerable to contamination and degradation. Free shipping is only available for minimum $100 on retail sales and minimum $500 for wholesale. 7. Does Oxygen Botanicals Have Any Side-Effects? The manufacturer does not disclose any potential side effects. Although, key ingredients, including botanical ingredients, have a potential for causing skin irritations and other allergic reactions. In case of experiencing adverse reactions to any of the products under this line, stop use immediately. If your symptoms worsen, make sure to consult with a skincare specialist. Products under Oxygen Botanicals have several ingredients in common, Oxygen and botanical ingredients being the primary components. These ingredients have the potential of changing your skin for the better although, it remains to be seen if these products can deliver on the promising benefits that you can derive from these. In any case, you must pay close attention to your skin type and skin needs when making a decision on whether to subscribe to Oxygen Botanicals products. It will also help for you to know other options that can deliver the same ingredients as this brand does for the sake of comparing and contrasting. What is the Price of Oxygen Botanicals? 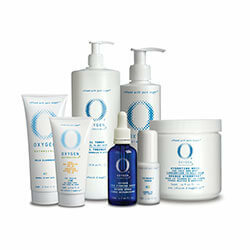 Products sold under the Oxygen Botanicals product line range anywhere from $15 to $200. Where to buy Oxygen Botanicals? Products under this product line may be purchased from the official product website, major reseller sites, and what appear to be affiliate marketer websites. Does the Oxygen Botanicals come with money back guarantee? Oxygen Botanicals are not covered by satisfaction guarantees. Is Oxygen Botanicals approved by the FDA? These products are sold over-the-counter and are considered as cosmetics. These products do not require FDA approval. Who Should Use Oxygen Botanicals? Men and women who feel that their skin needs to be enhanced by products may check out the robust product offerings under this product line. Should I use the Oxygen Botanicals once or twice daily? Products sold under this product line are recommended for twice daily application for the best results. How long does one bottle of Oxygen Botanicals last? Each package is typically made to last you for 30 days. How long will results last? Results that become apparent during product use may only be maintained by staying on your regimen. 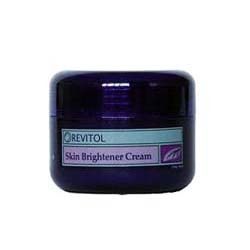 Discontinuing product use also gradually returns your skin back to its natural condition. Can I use the Oxygen Botanicals with makeup? Yes, sheerer products from this line perform better than others if your attention is to layer it with makeup. Make sure to give Oxygen Botanicals products ample time to become completely absorbed by your skin before putting on your makeup.